When I was planning my trip volunteering in Mauritius and Bali, I decided that since I was so close to Australia it would be a shame not to stop by and explore the East Coast. 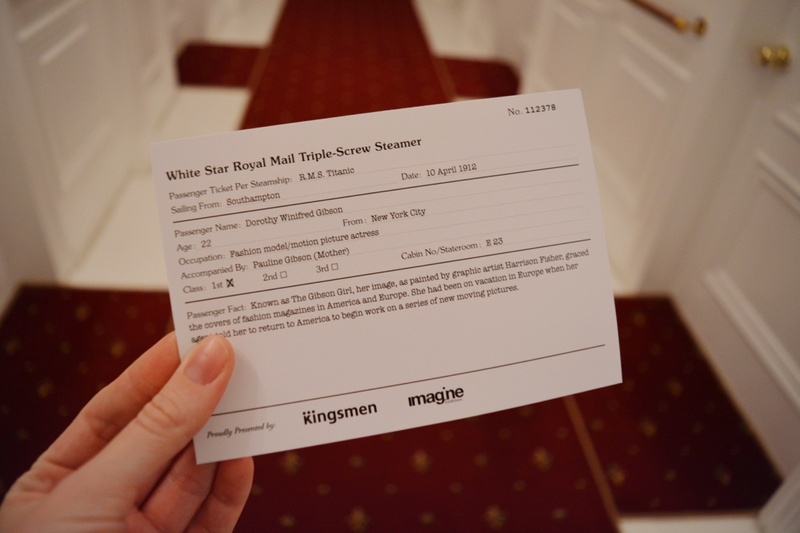 I was really excited at the prospect of organising what I wanted to do in each area and all of the different possibilities of what to see. There is a massive contrast between the different parts of the country and there was so many places that I wanted to see that I had to choose the ones I wanted to see the most this time around. In the end I decided to visit Fitzroy Island, Cape Tribulation, Whitsundays, Fraser Island, Brisbane and Sydney. I'm happy with the decisions I made and it just gives me an excuse to come back! 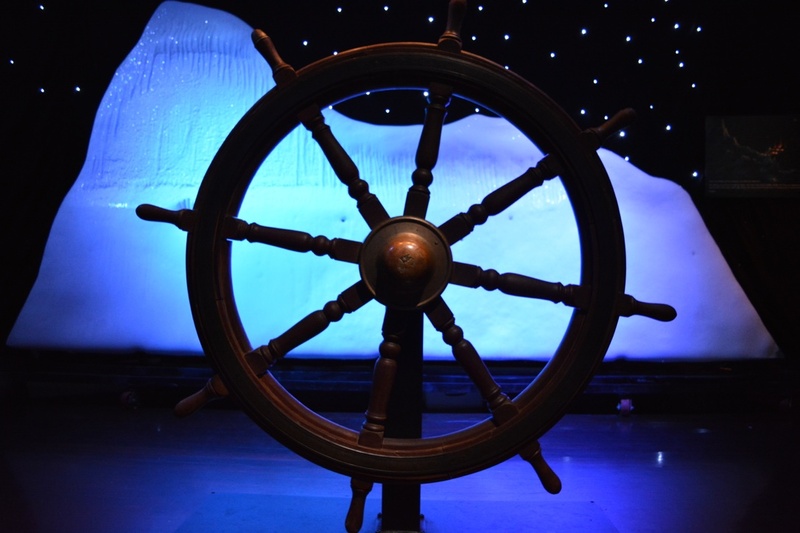 I apologise in advance as this is going to be one very long blog post but I didn't want to break it up into separate posts. So enjoy and try not to fall asleep! 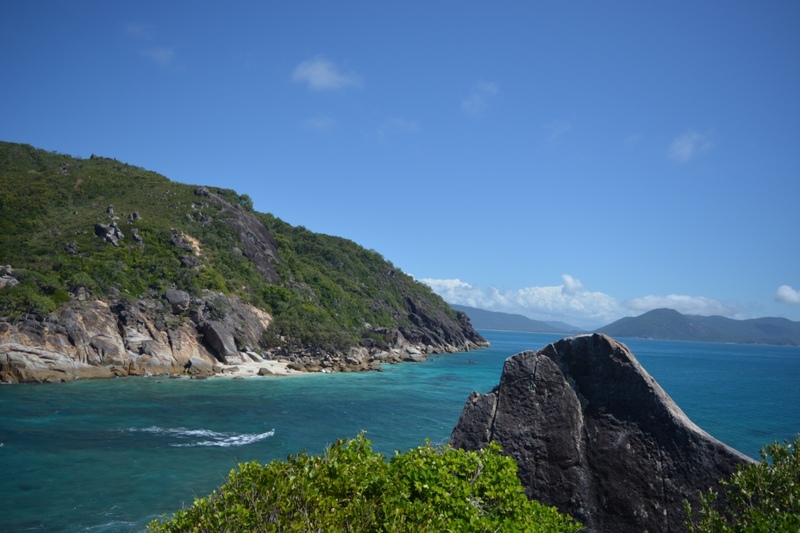 My first stop when I arrived in Australia was Cairns to visit Fitzroy Island and Cape Tribulation. Unfortunately, I did not have time to do the Great Barrier Reef whilst there as I did not plan out this part of my trip that well but I will definitely come back to Australia so will visit it then. Whilst I didn’t get to see the actual Great Barrier Reef I did visit islands that were on it so it didn’t bother me as much. 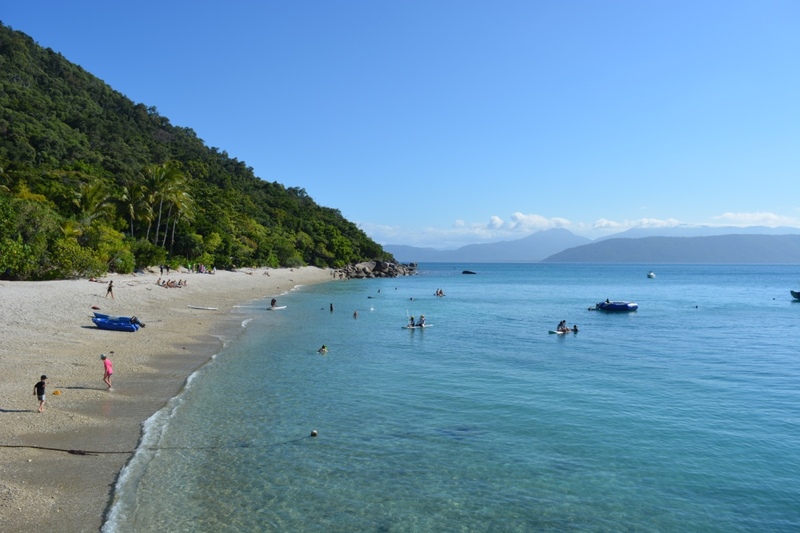 I booked my trip to Fitzroy Island when I was still in the UK and did so through STA Travel, the trip sounded amazing and I was really looking forward to a whole morning of kayaking. It took a 50-minute ferry ride from Cairns to get to Fitzroy Island and as soon as we arrived everyone got their snorkelling equipment, and then those kayaking paired up. Seeing as I was travelling by myself I got paired up with a guy who was alone too and if you are wondering if it was awkward it wasn’t. A group of ten of us kayaked to Little Fitzroy Island (the guy and I almost capsized at one point but made it in the end) and then we climbed to the top of it, which has an incredible view of Fitzroy Island. The tour guides were really fun and kept coming out with lots of cool facts. We even had a delicious packed lunch, I’ve been on a couple of tours and the food on this one was outstanding (meaning they didn’t just give you a sandwich). I then spent the afternoon snorkelling and relaxing on the gorgeous beach, we got back to Cairns around 5pm. 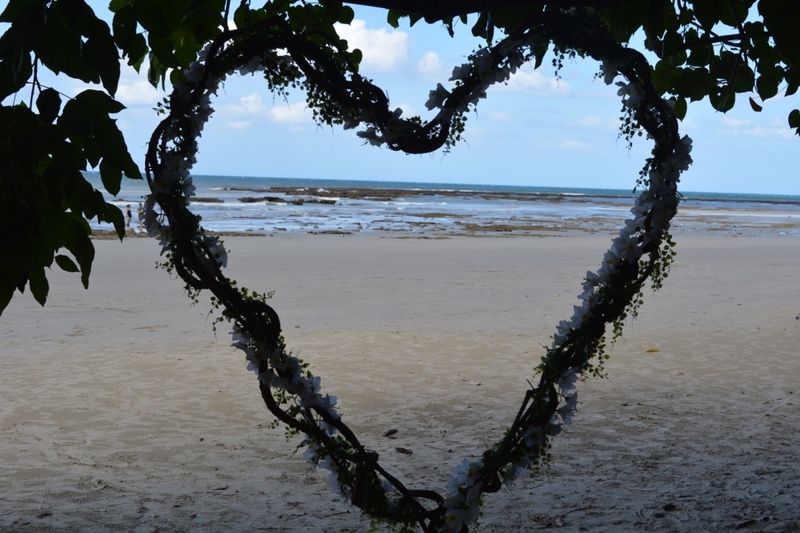 My Cape Tribulation trip was booked in Australia at my accommodation Gilligan’s Backpackers Hostel and I chose it as it allowed me to do lots of activities in just one day. 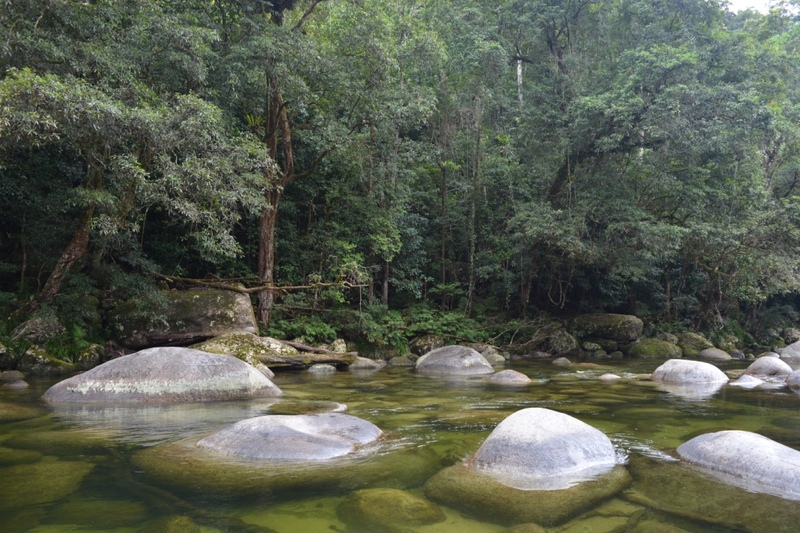 I got to see Mossman Gorge and go on a suspension bridge, on which I obviously jumped up and down like a child. 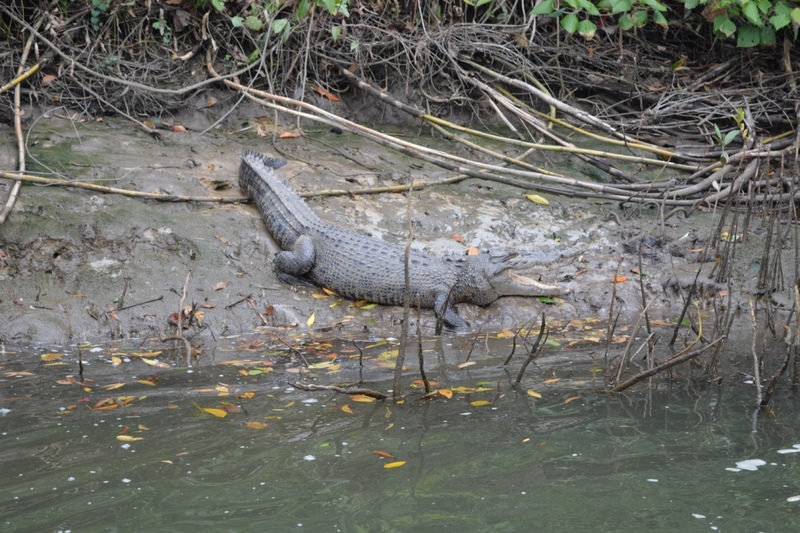 The trip included a tour of the Daintree River where I saw lots of crocodiles and even snakes in the trees. 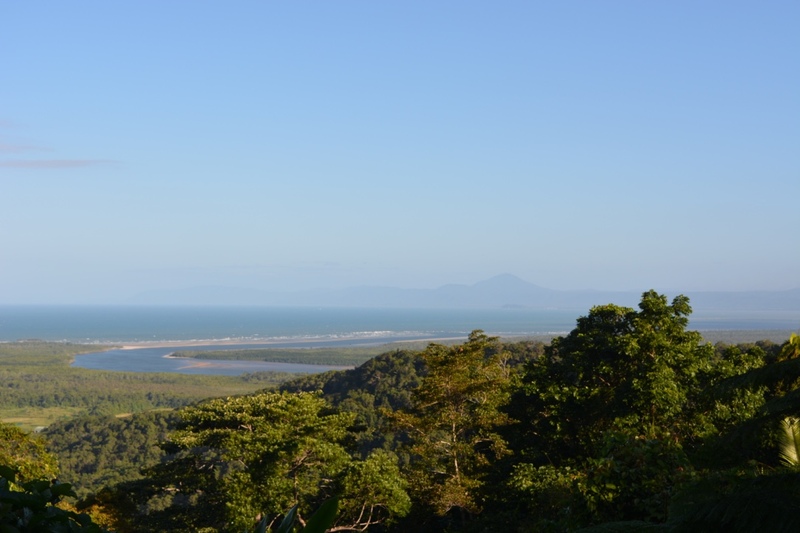 I then got to explore Cape Tribulation Beach and Rainforest, which are both gorgeous. There were lots of other pit stops in-between the main attractions and had some organic ice cream before making our way back. 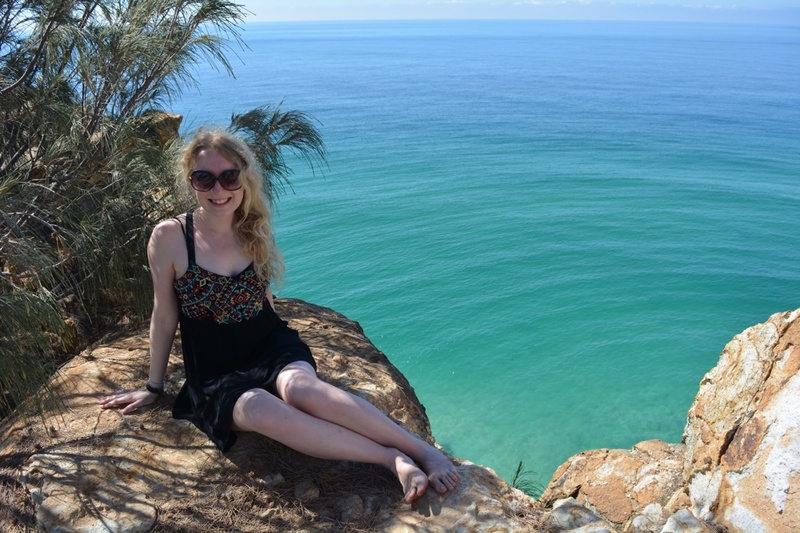 Before going back to Cairns, we also went via Alexandra Lookout and saw breathtaking views of the beach + forest. 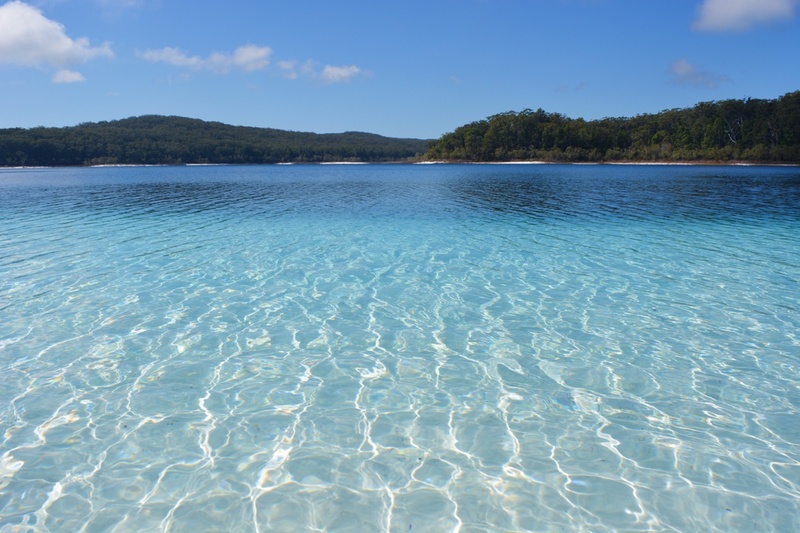 I booked my trip for the Whitsundays and Fraser Island via STA Travel before I left in June, which cost around £450 if my memory serves correct (it feels like that was a lifetime ago). I stayed in Airlie Beach the night before and after the Whitsunday trip in BaseBackpackers, which was my least favourite hostel as it felt so big and I didn’t feel that safe as it was all spread out. Airlie Beach is where you go to get the boat out to the Whitsundays and apart from that there isn't overly much there. 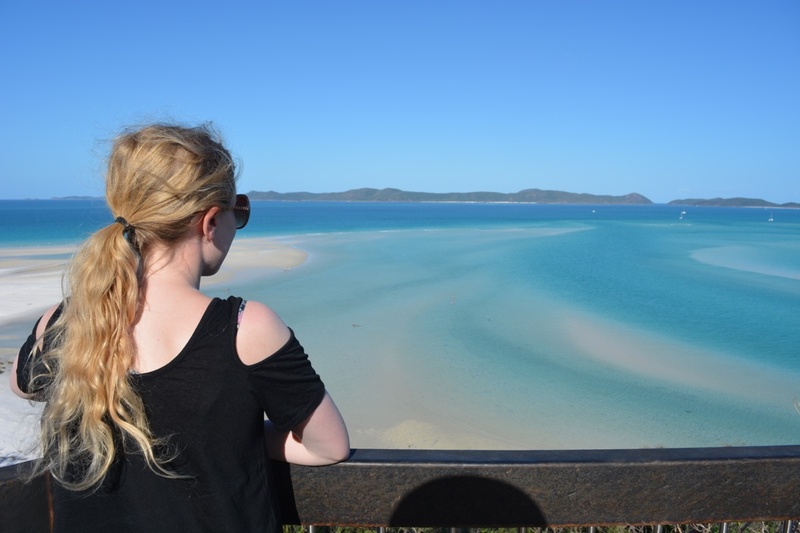 My two-day tour around the Whitsundays was with Explore Whitsundays on the Maxi Sailing Boat called Siska and as it got nearer and nearer to the event I was slightly worried about sleeping on a boat. Not being a big fan of boats to begin with I was starting to panic about spending that much time on it but I am very proud of myself for having done it. However, I was definitely relieved to get off the boat and my head was still rocking a day later. 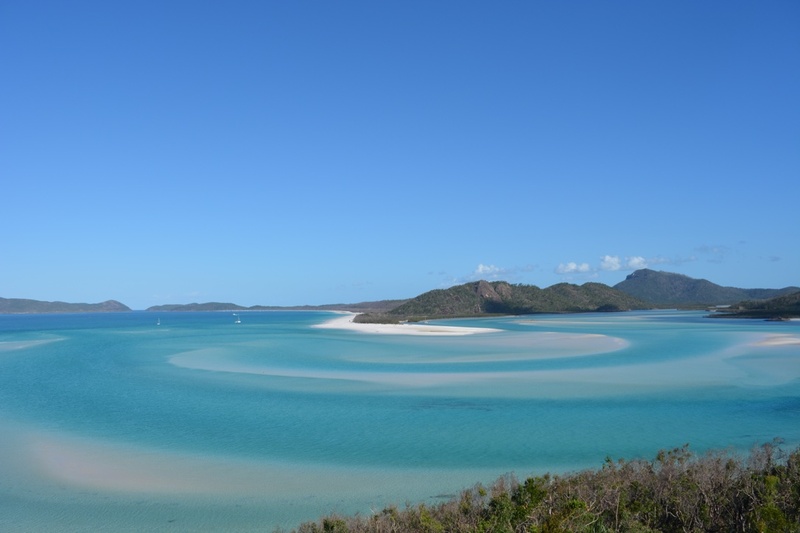 The Whitsundays are absolutely gorgeous and Whitehaven Beach is one of the most beautiful sights I have ever seen in my life! There is nothing quite like it and photos don’t even begin to do it justice. 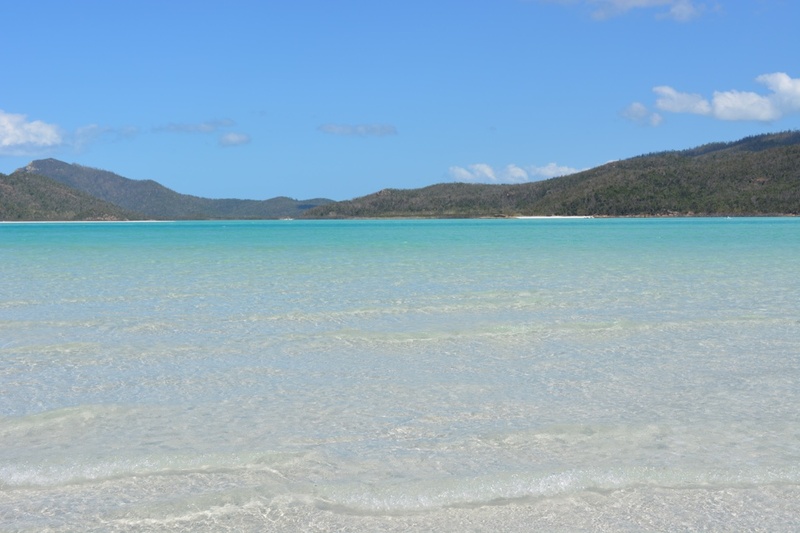 The sand on Whitehaven Beach is made of 98% silica and is the softest/finest sand I have ever felt, it also doesn't retain heat! I also got to do a full day of snorkelling on my second day and saw the biggest wrasse whilst out there (sorry I can’t remember it’s exact name), along with lots of other beautiful fish. 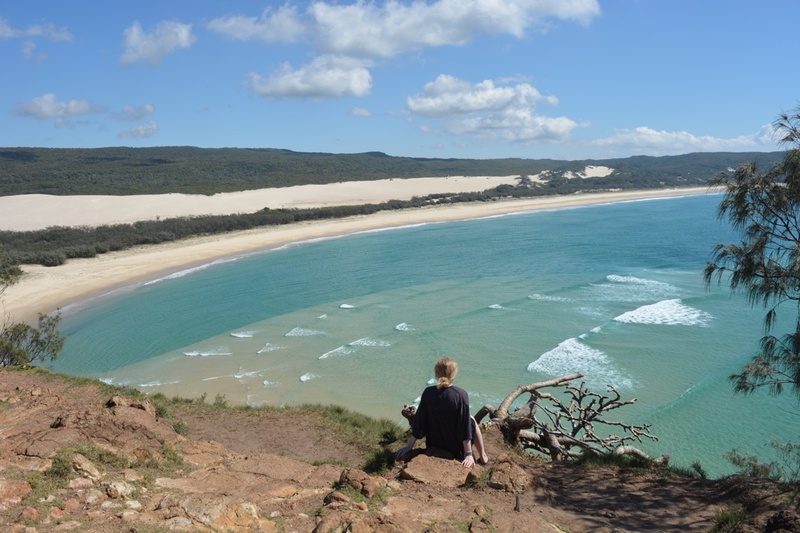 I was really looking forward to going to Fraser Island as it is a jam packed two days with a night on the island in Eurong Resort and lots of incredible views. 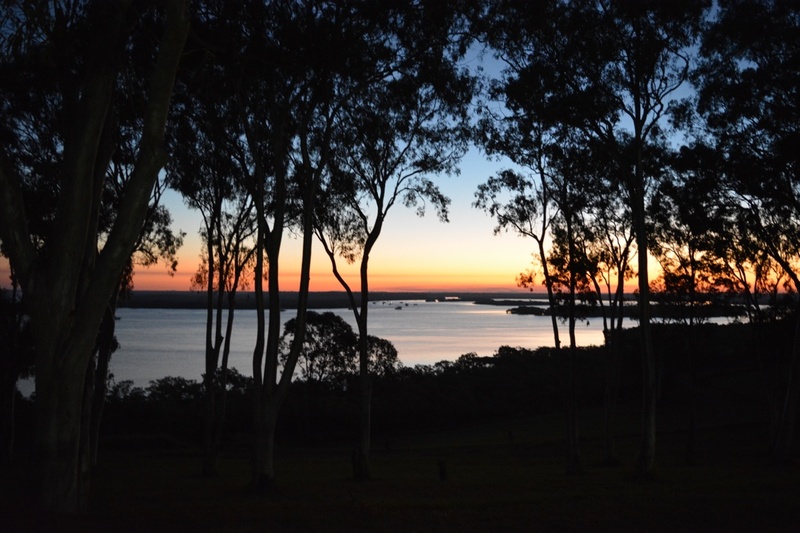 I stayed in Hervey Bay the night before and after going to Fraser Island in a hostel called the Woolshed Backpackers, which was a cute cabin style accommodation and the rooms were a decent size. My tour was with Fraser Explorer Tour and I thoroughly enjoyed my time on the island, I wish the tour had more young people on it instead of lots of families but hey ho I still loved it on the Island. 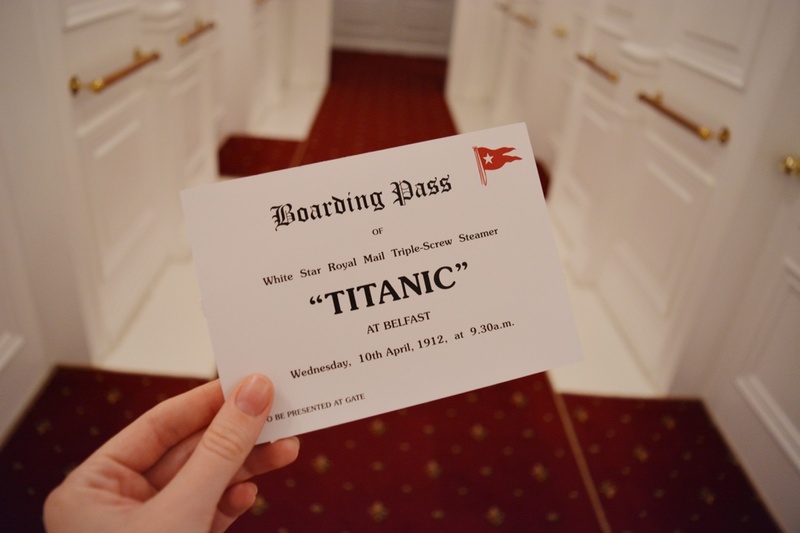 I would definitely recommend doing the two-day tour instead of one as you would miss out on seeing so many great things as the one day tour is a lot more condensed. 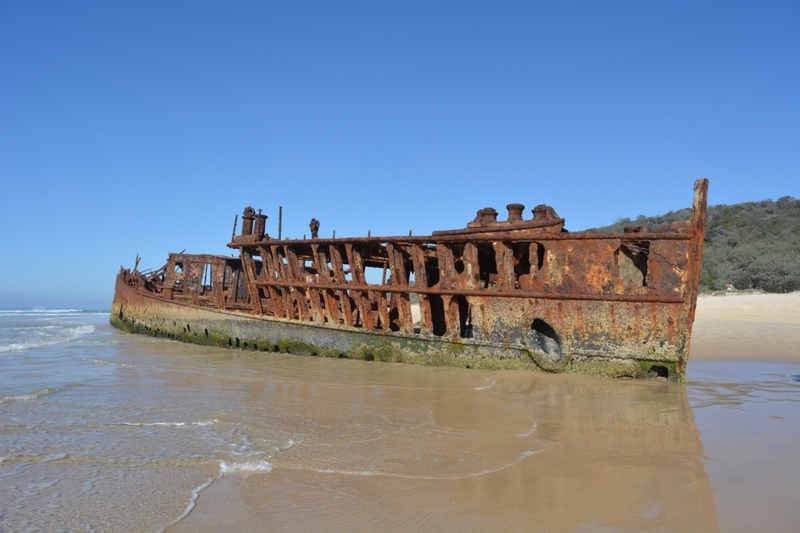 The two-day tour consists of seeing Central Station, Pile Valley, Lake McKenzie, the Seventy-Five Mile Beach, Eli Creek, the Maheno Shipwreck, The Pinnacles Coloured Sands, Indian Head, The Champagne Pools, Hammerstone Sandblow and Lake Wabby. 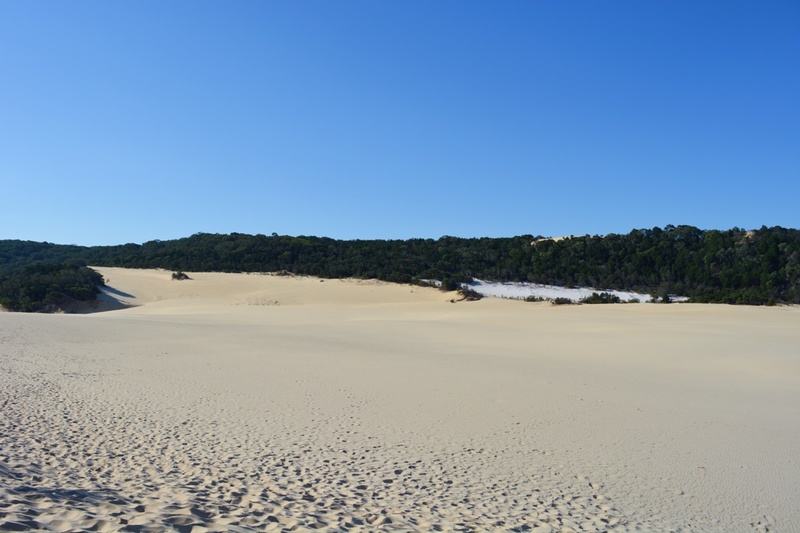 My favourite parts of the trip had to be swimming in Lake McKenzie and The Champagne Pools, trekking across Hammerstone Sandblow and doing sand angels, and last but not least climbing up to the top of Indian Head to see the gorgeous views of the sea along with its sea life (wales, dolphins and manta rays). 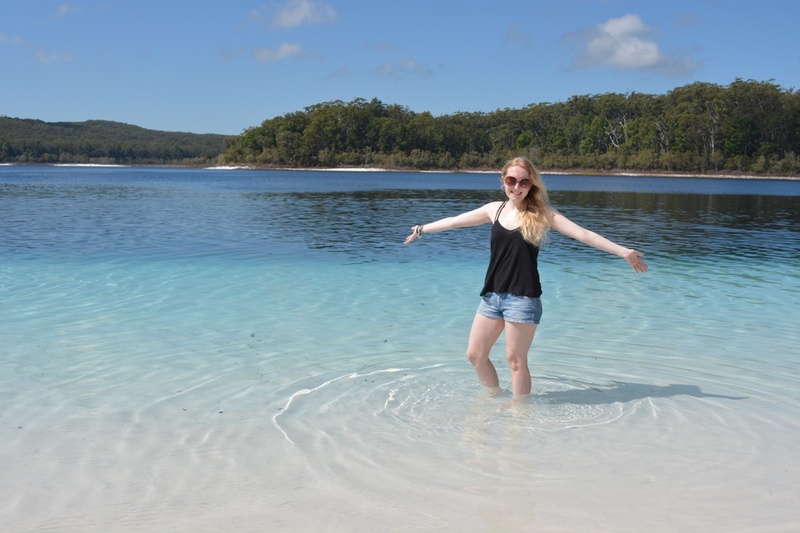 Fraser Island was my favourite destination in Australia and when I go back there I definitely want to stay on the island for a couple of days. Brisbane is a bit like marmite as people either love it or hate it from what I have gathered, as a couple of people I met said they found it really boring and there wasn’t anything to do. However, others thought it was a really cool city and like a smaller version of Sydney. Personally I really liked Brisbane and thought it was a nice city. Whilst there I stayed at the YHA and it was a reasonable hostel, the only annoying thing was that the free wifi was only accessible from the reception and you had to pay for wifi that reaches your room. One of the best things I have done on my trip is going to the Lone Pine Koala Sanctuary in Brisbane and it is honestly incredible there! I got to hold a koala. I repeat I got to hold a koala and it is one of the best things I have ever done. The Lone Pine Koala Sanctuary is awesome and holding a koala, stroking a kangaroo and getting to see lots of Australian wildlife made my day. 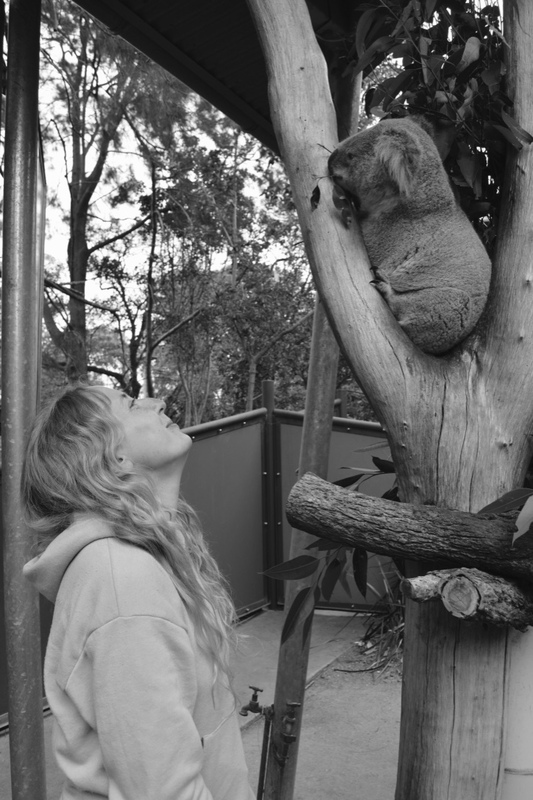 Queensland is the only state where you can hold a koala so if you intend to do so you better do it there. 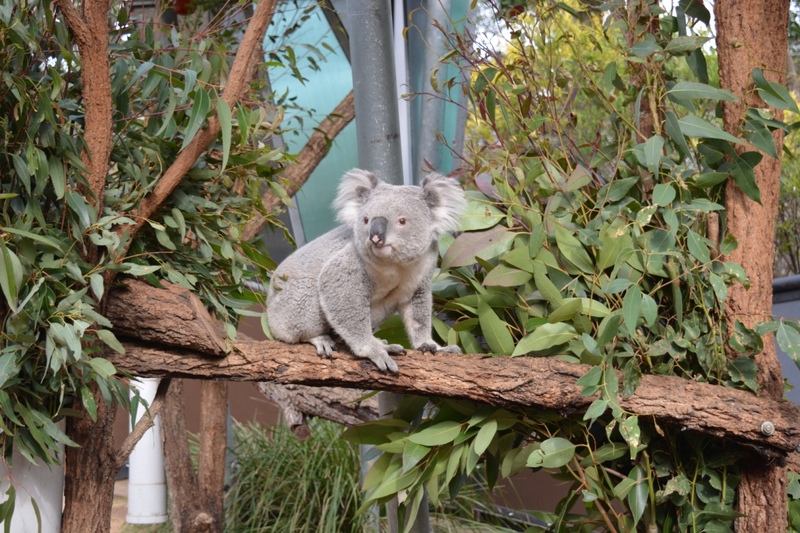 It is the world’s biggest koala sanctuary and has over 130 of the furry creatures, it costs $36 (£21.96) and is definitely cheap considering the amazing experience you have there. If you are strapped on cash and looking to do some free activities then Brisbane has plenty to do, which are actually good. You can wonder around South Bank Parklands, hop on the free ferry, visit Brisbane City Hall and the Clock Tower. I personally found the City Hall fascinating and on the basement level they discovered a wall in 2008, which contains over 150 signatures of soldiers from World War II. It was discovered as part of the restoration of the basement and interestingly all of the soldiers who signed the wall survived the war. I would definitely recommend signing up to do a tour of Brisbane City Hall and best of all it is free! Sydney is the place I spent the most time in Australia and was there for a total of 9 days (8 nights). During my time there I stayed at Bounce Sydney, which is the best hostel I have stayed in and the staff are so friendly! The beds were so comfortable, the wifi reached your room (not a normal occurrence in hostels), the bathrooms were really clean and they had really good facilities including lockers that actually fit your suitcase. If you go to Sydney I would honestly recommend you stay there as it is in a great location and it is such a good hostel. I arrived in Sydney at 6am on a Sunday and spent my first day familiarising myself with the area, as I had a jam packed week planned to maximise my time there. 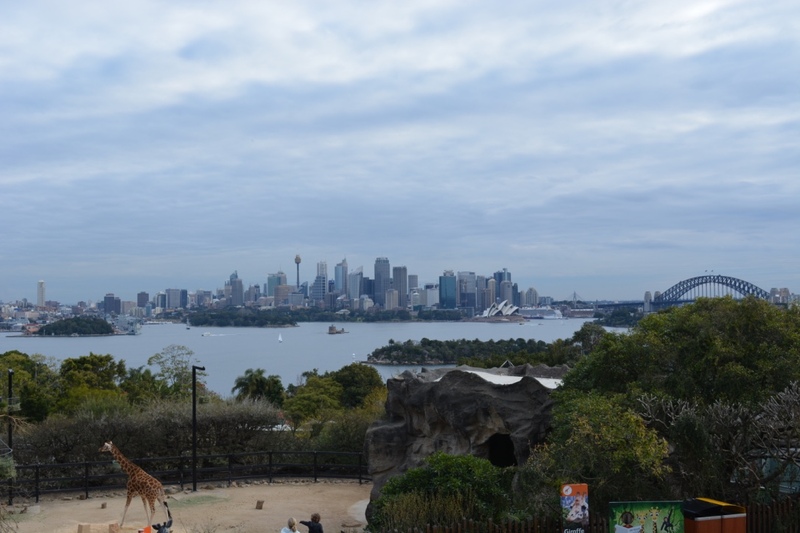 After falling in love with Koalas in Brisbane, I wanted to visit another zoo to see the little cuties and had heard fantastic things about Taronga Zoo. 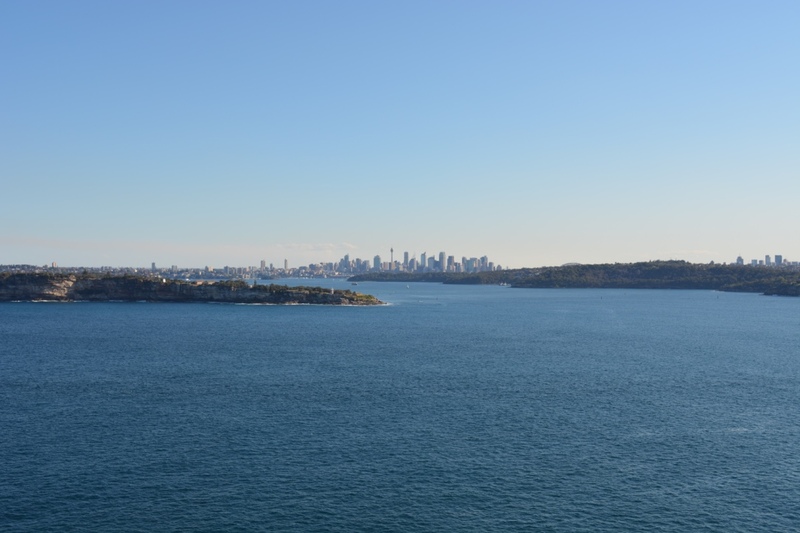 It has the most incredible view of Sydney from the zoo and there are so many different animals there, from kangaroos and wallabies to elephants and giraffes, there is something for everyone. You can't go to Sydney and not see the Opera House, it is Australia's most iconic building and the history behind it is truly fascinating. 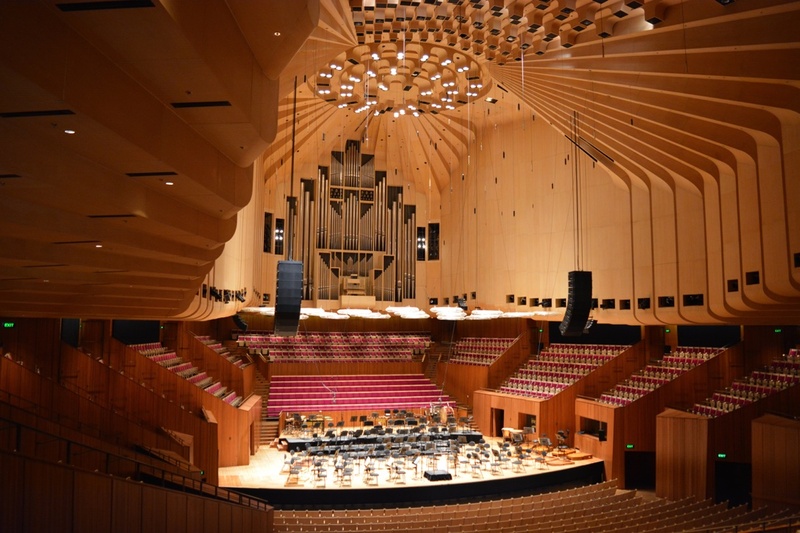 The Sydney Opera House Tour costs $37 (£22.57) and I loved it, getting to see the Concert Hall was one of my highlights in Sydney. 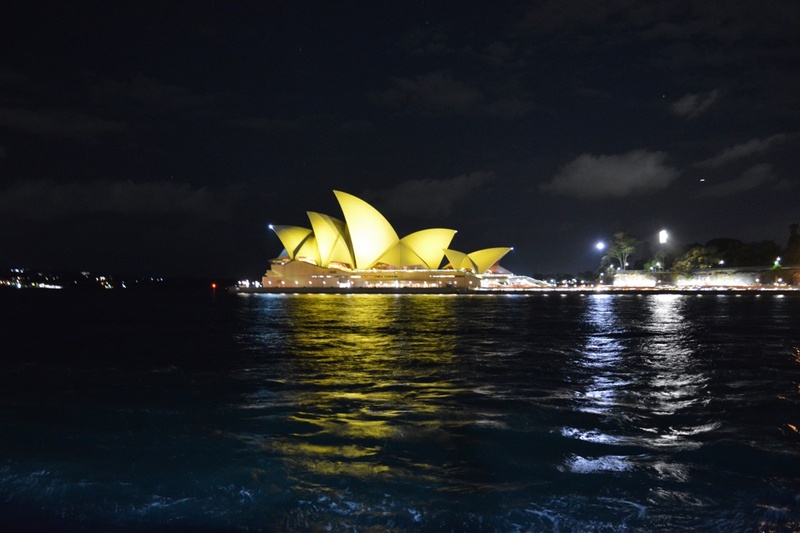 I also love that the Sydney Opera House lights up in different colours for charitable events and for instance on Daffodil Day it was lit up in yellow in honour of the cause. 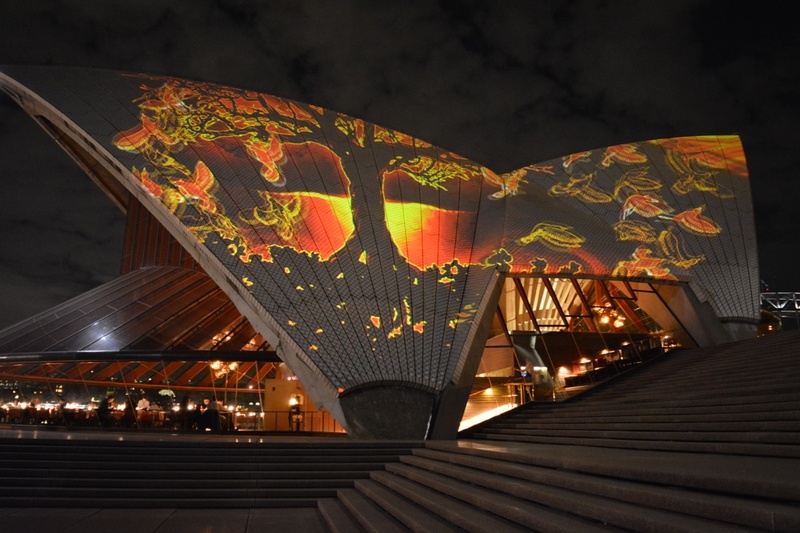 They have a really cool free event on at the moment called Badu Gili, which is a visual show of Australia's First Nations culture and illuminates the eastern Bennelong sail at sunset & 7pm. 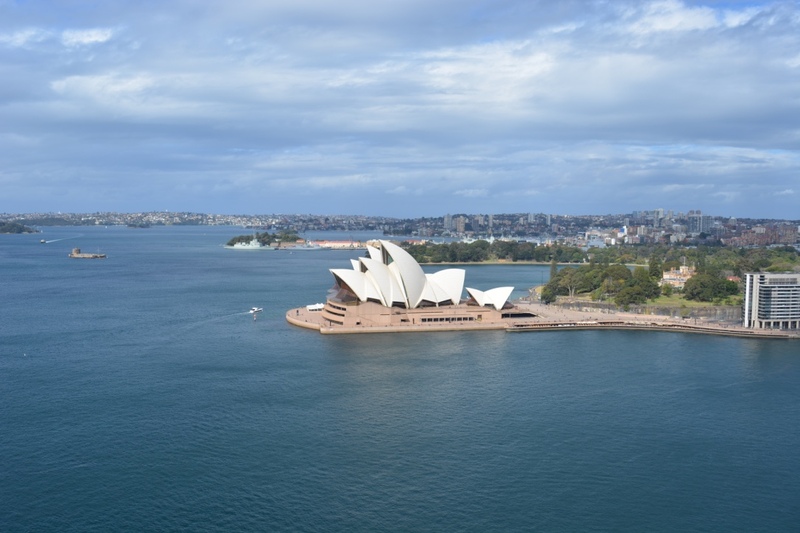 If you are near the Sydney Opera House, you may as well go to the Pylon Lookout and see the most incredible view of Sydney Harbour. Best of all it will only cost you $15 (£9.15) and the view is worth every penny. 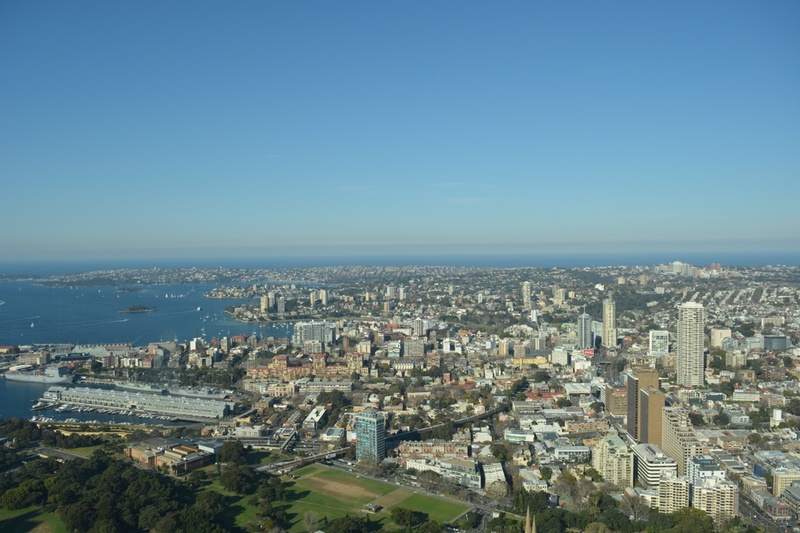 An experience that I felt was slightly disappointing and the view wasn't as good as I expected was that of the Sydney Tower Eye, at $28 for a standard ticket it is definitely overpriced and the view from the Pylon Lookout is ten times better! It is nice to see a 360 view of Sydney but massive buildings are blocking the Sydney Opera House and Bridge. One of my must-see sights in Sydney was Manly and boy did it not disappoint, it is truly beautiful there and if I lived in Sydney I would live in Manly. 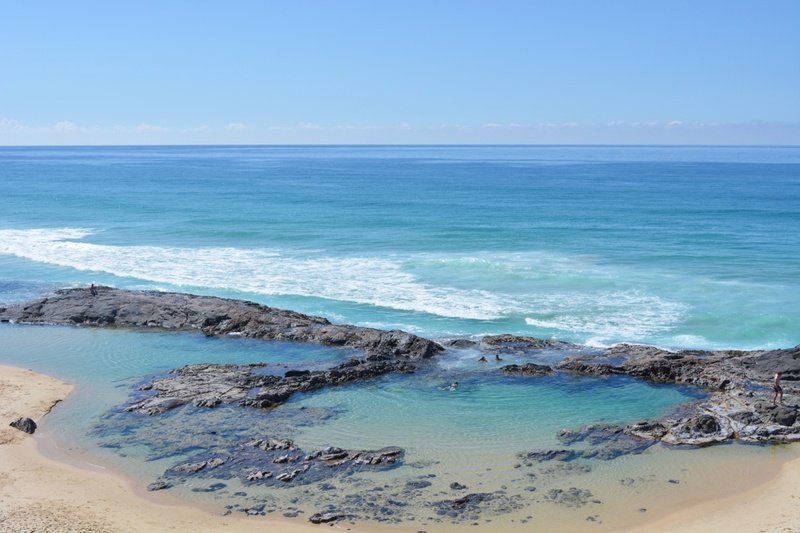 Manly and Shelly beach are gorgeous, I wish I had warmer weather there so I could have sunbathed and gone in the sea. Instead I did the beautiful North Head 10km walk, which was a lot more exhausting but the view from North Head of the city was worth the four hours of pain. 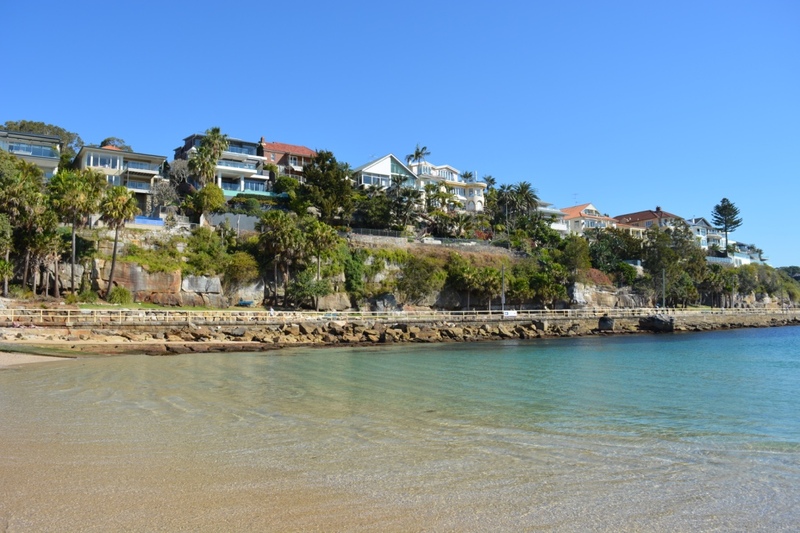 If you like doing multiple walks there is another one from Manly to Spit Bridge, and has more coastal scenes, whereas the North Head one has more greenery. 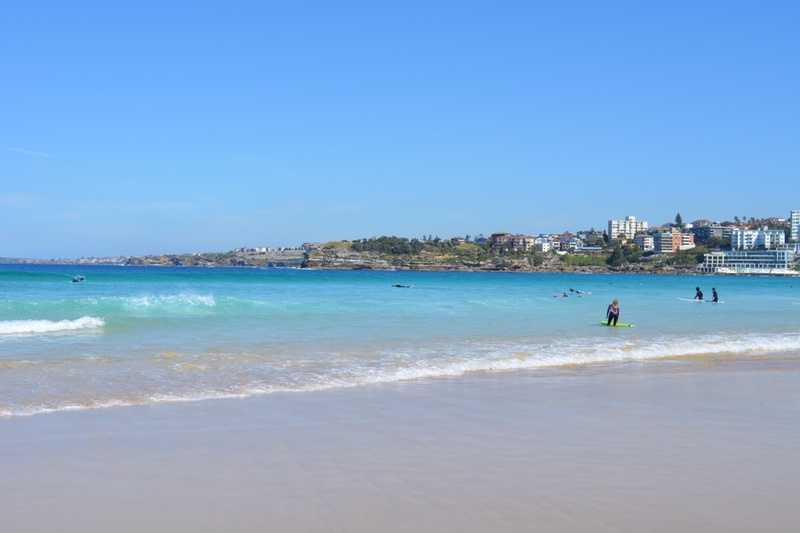 I had always heard mixed reviews about Bondi Beach, some rave about it and others say it doesn't live up to the hype. My opinion falls somewhat in between, the beach was ok and if you like surfing then you will love it. It wasn't anything special but it wasn't ugly either, you got a really nice view of it from the cliffs when you start to do the coastal walk to Coogee. 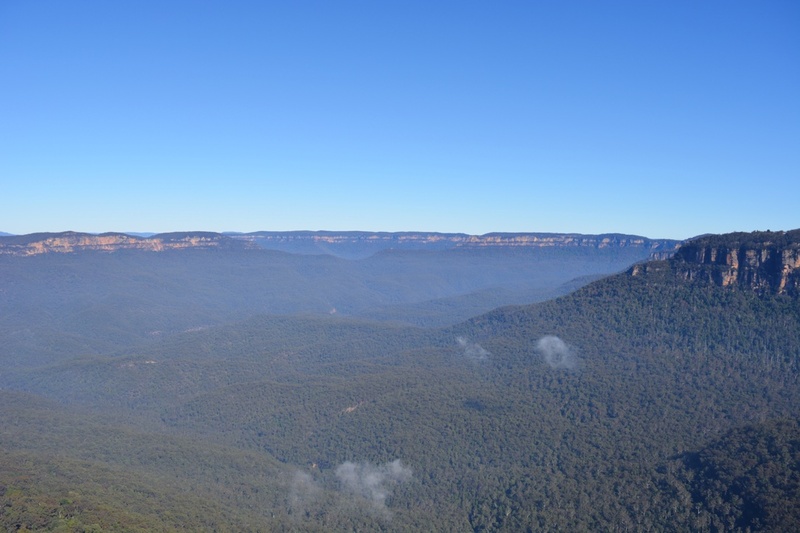 Every person I came across in Australia recommended I went to the Blue Mountains and so as soon as I got to Sydney I booked onto a tour with Loka for the price of $89 (£54.29). 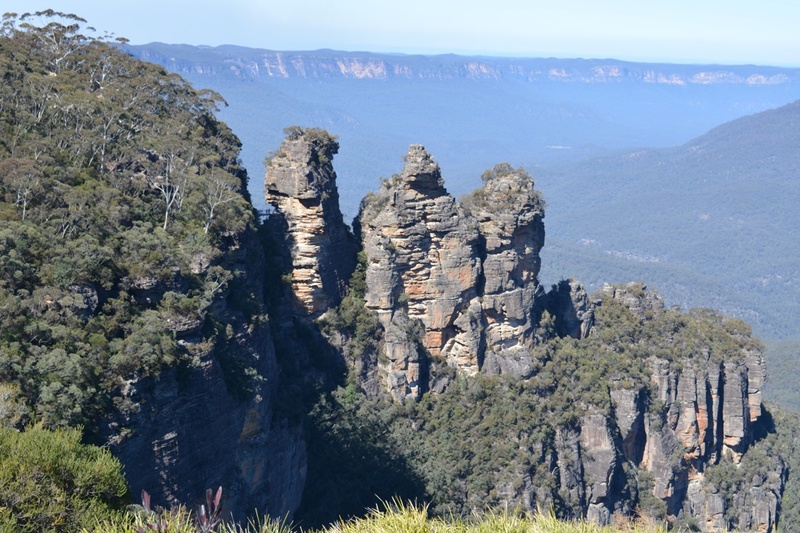 The Blue Mountains were nice to look around and the Three Sisters were cool but my tour was not, the tour guide was really weird and the whole day felt rushed. If anyone was thinking of going there just get a train and go by yourself, you definitely don't need a tour guide to do it and considering the amount of steep steps there are you will 100% find it more leisurely if you aren't on a tour. 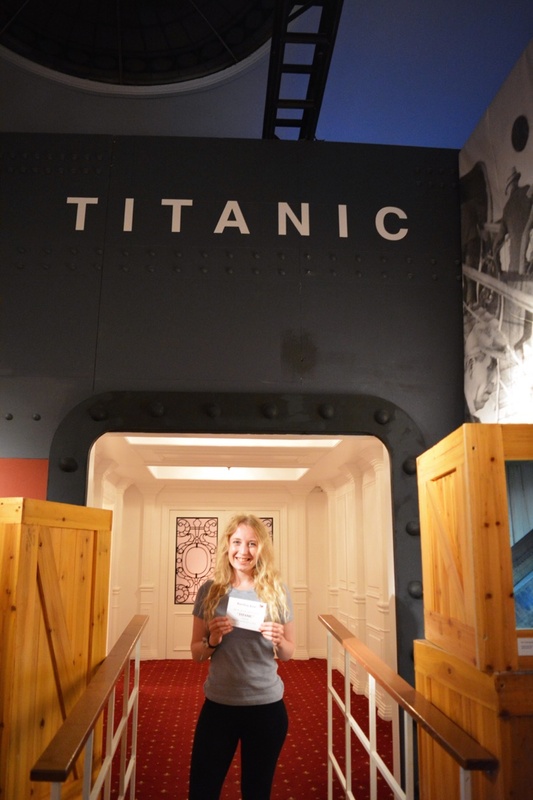 I love learning new things and history was one of my favourite subjects in school, so when I found out there was a Titanic Exhibition on in Sydney I didn't hesitate to go and thoroughly enjoyed it. I spent nearly three hours wondering round the exhibition and it was so interesting, but also heartbreaking knowing it all could have been prevented. The Sydney Botanical Gardens and Darling Harbour are also two lovely places to walk around, and after a week of walking through the Botanical Gardens I miss doing it. Even in their winter they still have lots of gorgeous flowers and it is so peaceful to just stroll through the gardens. After 9 days in Sydney, it was time to leave to head back to England and luckily, I was right by Central Station which takes you directly to Sydney International Airport. However, it isn't the cheapest of journeys at $18 one way but it was the most convenient for me. I flew home with Etihad Airways via Abu Dhabi and I wouldn't fly with them again. Their first-class service looked amazing on the video but economy class definitely wasn't anything good and I don't understand how they are the 8th best airline in the world according to SKYTRAX 2017 World Airline Awards. I found the cabin crew to be quite rude and the tone of voice they used talking to passengers just wasn't on, they seemed quite rude when people asked for things and it seemed like an inconvenience to them! Emirates is the best airline I have flown with so far and they just seemed to tick all of the boxes, Etihad's entertainment system was also quite poor. I have been very fortunate with the weather whilst in Australia, as despite it being their winter I had 30 degree weather for two weeks! It was only colder (15-20 degrees) when I was in Sydney for a week but I still had sunshine for the most part. The currency in Australia is the Australian Dollar and 1 AUD is worth 0.61 GBP. Before going to Australia, I was told by quite a few people that it is a very expensive country but it wasn't as bad as I thought it would be. Don't get me wrong it wasn't cheap but not as extortionate as I thought. When travelling around Australia, most people either get a coach, hire a car or fly to their next location. However, after much research I found that the cheapest way to get around was via coach and decided to buy a 3 month Hop-on-Hop-Off pass done by Greyhound. I went with Greyhound as I recognised the name and it seemed to be the best company in my opinion. The coach pass cost $445, which is £271 and is a lot cheaper than getting lots of flights especially once you have added on baggage. I would recommend you pick up an Opal card when you get to Australia, which is their version of an Oyster card as on most buses you can't pay with cash and can only use an opal card. It is also quite a bit cheaper than paying in cash so you save money! You can get an Opal card from any Seven Eleven store (there are literally around every corner) and you just need to top it up with money. I got a couple of buses whilst in Australia, including in Brisbane to get to the Lone Pine Koala Sanctuary and in Sydney to get to Bondi Beach. I was really impressed with them! They were always on time and the bus drivers were so polite, which makes a change from Brighton & Hove buses. Whilst I was in Sydney, I used the Tube to get about a couple of times and it is very reasonably priced! To get from Sydney Central Station to Circular Quay it costs about £2.40 one way, which isn't that bad if you ask me. I also used the ferry in Sydney from Circular Quay to get to Taronga Zoo and Manly, they run really frequently and aren't as expensive as you would think. Would I go back to Australia? Without a doubt, I will definitely be going back to Australia, I barely scratched the surface of all the different things I want to see and 3 weeks is nowhere near enough time. There are so many things I didn't get to do such as the Great Barrier Reef, Magnetic Island, Noosa Heads, Byron Bay, Gold Coast, Melbourne and Tasmania. You don't realise how big and spread out the country is until you get a bus down the coast! I loved every second of being in Australia and cannot wait to go back, it truly does have some sights which are simply out of this world.